We deal in quality-tested 11.1 V 10400MAH Li-Ion Battery Pack (Li111104C5). 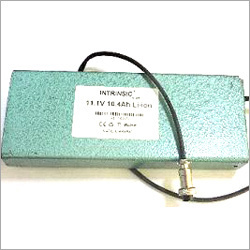 We are one of the most sought-after Manufacturers, Exporters, and Suppliers of 11.1 V 10400MAH Li-Ion Battery Pack (Li111104C5) from Delhi, India. We are backed by latest technology and skilled manpower, enabling us to come up with the best-in-class batteries. And customization and quality assurance are the two factors that are well dealt by us.